Spotting whales off Nova Scotia. You can go whale watching from every side of Nova Scotia, which makes choosing where to go a bit of a challenge. There’s also the choice between the bigger cruise-style boat or the smaller Zodiac. The big boats offer a calmer ride for people who aren’t keen seagoers but the Zodiac lets you get much closer to the whales and at eye level. Both types of journey are fun but the Zodiac is truly memorable and worth the extra cost. Wherever you decide to go, try to book in advance during peak tourist season and ask a few important questions like how long the tour is and if the operator offers a money-back guarantee if you don’t spot a whale. Bring along seasickness pills too. The seas aren’t generally rough but occasionally people do get queasy. Expect to pay anywhere from $25-40 per adult, depending on the length of the tour. The prime spot has to be the waters of the Bay of Fundy, just off Digby, and in particular around Digby Neck, Tiverton and Brier Island. Throughout the summer and into early autumn, you have a very good chance of spotting finbacks, minke and humpback whales who come to feed on plankton stirred up by the high tides. You might also see dolphins, porpoises and seals. 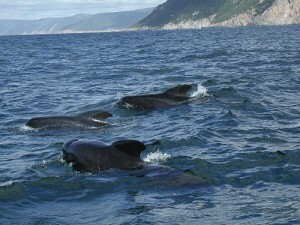 Cape Breton is the other top destination for whale watching, with most tours running from Cheticamp or Pleasant Bay, both on the western side of the Cabot Trail. 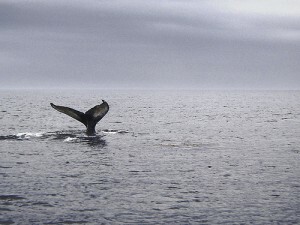 Here the season is a little longer (tours start in May as opposed to June from the Digby area) and you’ll spot humpbacks, pilots, minke, sei whales and dolphins. Although getting to Cape Breton takes a bit longer than the drive to Digby, sometimes prices are lower and you get the added bonus of admiring the scenery of the Cabot Trail from the water. The only place to really avoid taking a whale watching tour is in Halifax. It’s a location that wins for convenience but whales aren’t spotted as often in the waters just out of the harbour so get out of the city if at all possible. If you must go from Halifax, then Murphy’s on the Water is the operator to contact. At the very least you’ll get a nice cruise out of the deal.